Thanks for using OpsCenter. Please take a moment to let us know what you think about the OpsCenter customer experience with its current features. DataStax welcomes any ideas for feature requests and improvements or reports of any bugs encountered. To provide feedback about OpsCenter documentation by email or Twitter, or to access support resources, see guidelines for giving documentation feedback. Click Help > Feedback at the top of the OpsCenter Monitoring console. 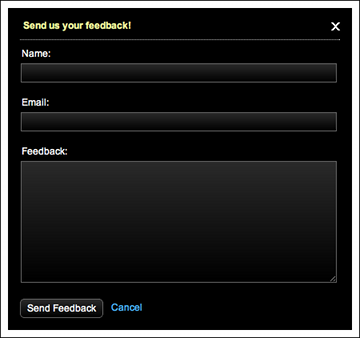 Enter your feedback about DataStax Opscenter in the Feedback box.